The grainy image featured in this photograph mirrors the now iconic Market Street sign in the credits. Many common historic landmarks, including Swann Memorial Fountain, Lincoln Financial Field, and the Benjamin Franklin Bridge, are featured in the credits. Keeping with the authentic feeling of the show, the footage was shot by actor Charlie Day (b. 1976) on his phone as he drove through Philadelphia one night. The opening images have become synonymous with Philadelphia for many viewers across the nation. 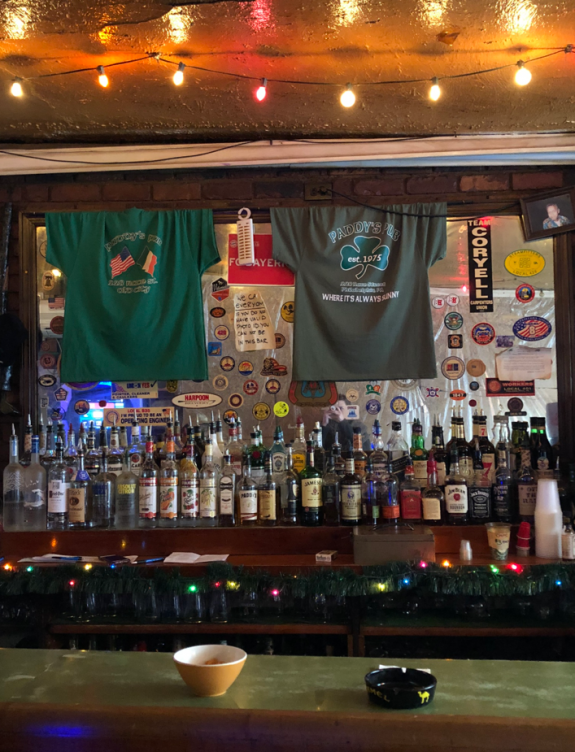 The interior of Paddy’s Old City Pub is reminiscent of the décor featured in the bar from It’s Always Sunny in Philadelphia. 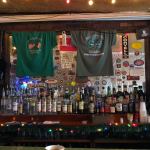 Located at 228 Race Street, the pub has embraced the attention it has received since the show began in 2005 by selling merchandise with the show’s slogans. The character of the fictional Paddy’s was inspired by the gritty atmosphere of the real establishment. 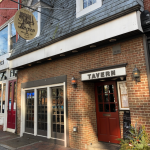 Mac’s Tavern utilizes the recognition of its famous founders to draw customers, but the building itself has a rich history. From 1693 to after 1735, the Skinner family ran a dry goods store at 226 Market Street and lived on the upper floors. While the property surrounding Skinner’s store was largely farmland, the building was located only one block away from the residences of Benjamin Franklin (1706-1790) and Betsy Ross (1752-1836), who may have been customers. It’s Always Sunny in Philadelphia, a comedy series that premiered on the FX cable television channel in August 2005, follows a group of five friends as they engage in narcissistic and questionable schemes from their Irish bar, Paddy’s Pub, fictionally located at Dickinson and Third Street in South Philadelphia. Created by executive producer Rob McElhenney (b. 1977), a Philadelphia native, the show brought area landmarks and cultural references to its national audience with every episode. McElhenney and his friends Charlie Day (b. 1976) and Glenn Howerton (b. 1976) shot the pilot for It’s Always Sunny in 2005 for less than $200 with their own recording equipment. After pitching the show to FX executives and earning the support of the network, they began writing and producing the series, and together with actress Kaitlin Olson (b. 1975) they portrayed the friends running Paddy’s Pub. The dive bar, located in a fictional run-down neighborhood in South Philly, serves as home base for “the gang” as their greed and narcissism fuel their various schemes, which generally devolve into shenanigans for the entertainment of viewers. Along with its local focus, the series’ first season included societal commentary about issues such as racism, abortion, and gun rights. Initial reviews of the show were scathing. One critic from USA Today wrote in 2005, following the series premier, that It’s Always Sunny in Philadelphia handled issues of race and homophobia clumsily and simply was not funny. The show failed to capture a wide audience in its first season. Low viewership threatened its longevity heading into the second season, until Danny DeVito (b. 1944) joined the cast and increased the audience. The show rose in popularity and continued to satirize sensitive topics, including the Great Recession, class discrimination, conflicts in the Middle East, the welfare system, and drug addiction. Tackling polarizing subjects head-on, which had been the basis for negative critiques, quickly became its greatest strength. It’s Always Sunny in Philadelphia earned four People’s Choice Awards nominations and three Primetime Emmy Awards nominations. 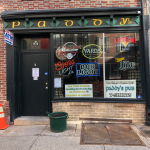 The popularity of the show even made the bar that inspired the show’s setting, Paddy’s Old City Pub at 228 Race Street, an international destination for fans. The opening credits of It’s Always Sunny in Philadelphia, a compilation of scenes filmed from a car window, establish Philadelphia and the surrounding area as the primary setting for every episode. 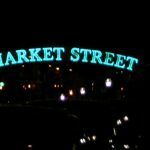 Shot by Day on a digital camera while he drove through Philadelphia one night, the opening credits feature the Benjamin Franklin Bridge, Penn’s Landing, Lincoln Financial Field, Swann Memorial Fountain in Logan Circle, Boathouse Row, 30th Street Station, and South Street. 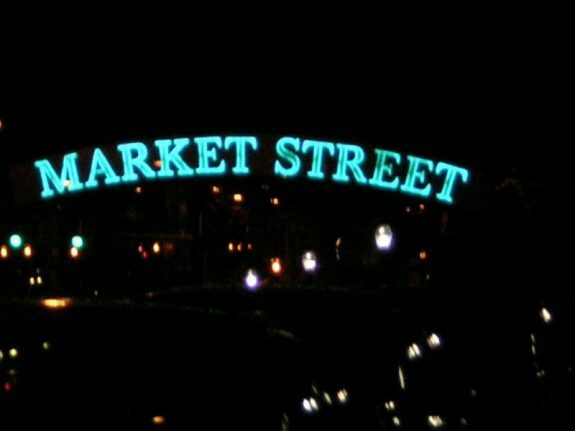 In the life of the series, many other notable landmarks have been mentioned, including the Strawberry Mansion Bridge, Citizens Bank Park, Independence Hall, the Italian Market, the Historical Society of Pennsylvania, Penn State, Atlantic City, and the Jersey Shore. The show’s characters are depicted as avid fans of the Phillies, Eagles, and Flyers. By including frequent mentions of Wawa convenience stores and homages to movies like Rocky and Invincible, It’s Always Sunny in Philadelphia, brought the culture of Greater Philadelphia to national audiences. In doing so, the show engrained itself in the culture of the region. Cody Schreck is a graduate student at the University of Wisconsin-Milwaukee pursuing a master’s degree in Public History, Museum Studies and Non-Profit Management. He also works as a Research Assistant for The Encyclopedia of Milwaukee. Hunt, Roger and Robert Arp. It’s Always Sunny and Philosophy: The Gang Gets Analyzed. Chicago: Open Court Publishing Company, 2015. Ladenburg, Kenneth. “Illuminating Whiteness and Racial Prejudice through Humor in It’s Always Sunny in Philadelphia’s ‘The Gang Gets Racist.’ ” Journal of Popular Culture 48, no. 5 (October 2015): 859-77. Nutile, Matt. “The Gang Beats the Odds: It’s Always Sunny in Philadelphia’s Consistent Popularity,” Cinesthesia. Vol. 8, Issue 1. Schepler, Dianna. “It’s Always Sunny in Philadelphia: Scaring Away All the Critics, but Still Adding to ‘Our National Conversation.’ ” Digital Commons @ Brockport (2014). 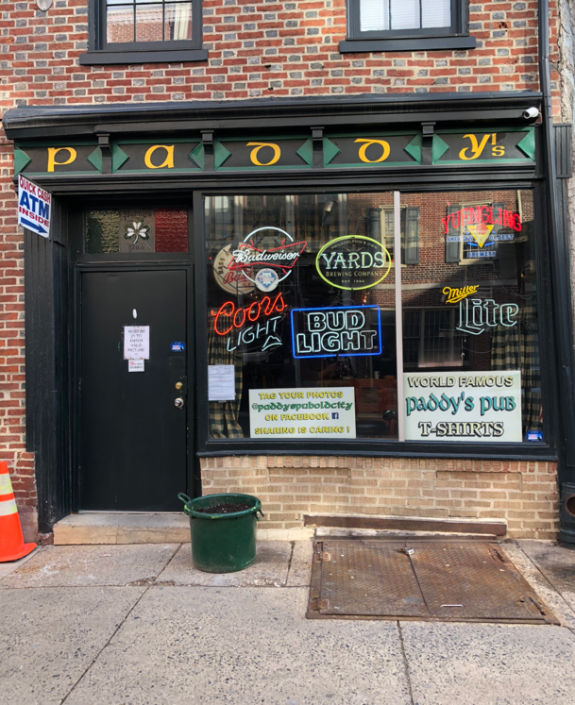 Paddy’s Old City Pub, 228 Race Street, Philadelphia. 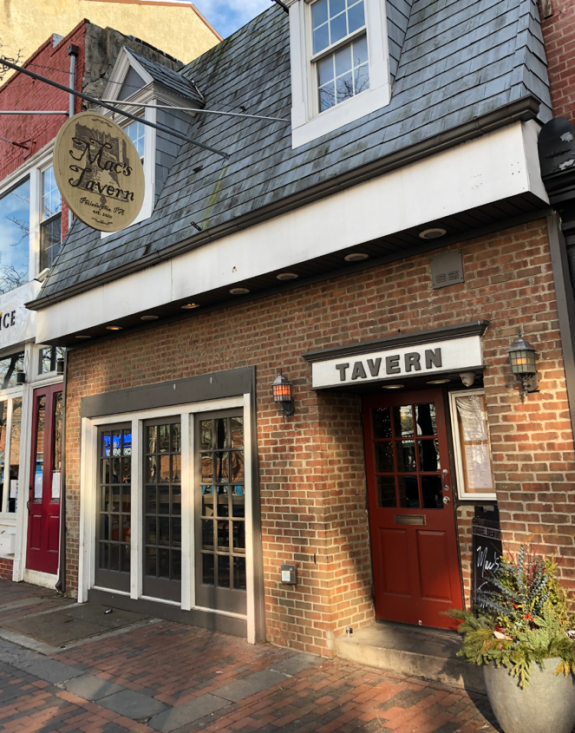 Mac’s Tavern, owned by Rob and Kaitlin (Olson) McElhenney, 226 Market Street, Philadelphia.